The Principal from Pleasant Valley High School, John Shepherd, came to us looking for a sign. The sign would be the centerpiece of a project taken on by the government students at the school. 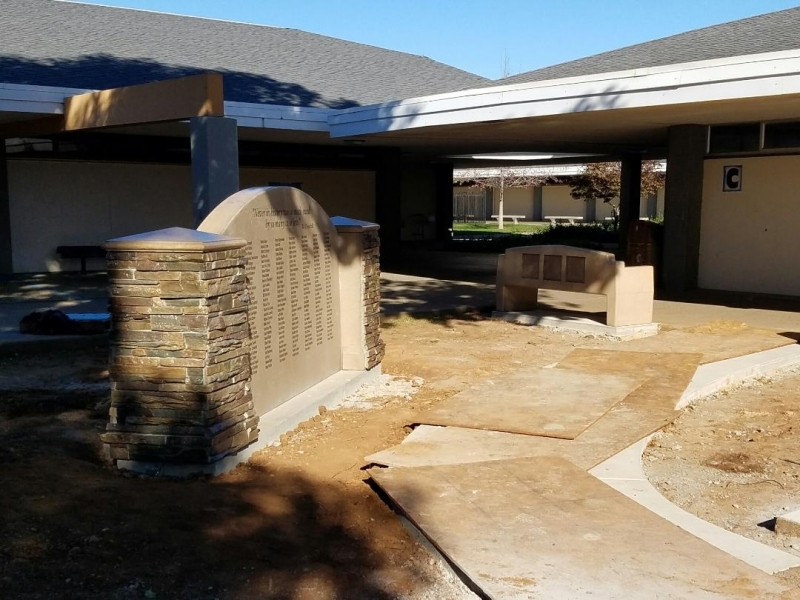 The project was to take an unused area of the campus and turn it into an area to honor veterans. The back of the sign has 218 names of past students of Pleasant Valley High School that are serving or have served in the military. The sign features columns with caps and rock veneer finish. Four benches were also included in the project, each featuring a quote on the front and inlays on the back to accommodate 12"x12" granite plaques. These plaques are for additional veterans' names. 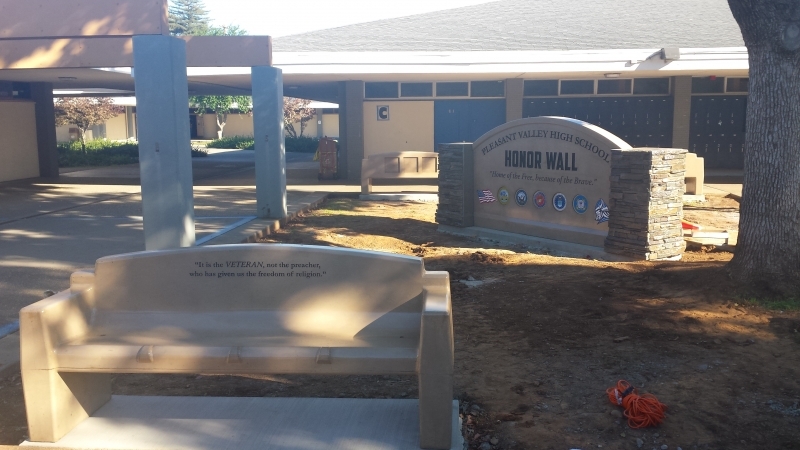 Since word about the project has spread, more plaques have already been made and installed into the benches. 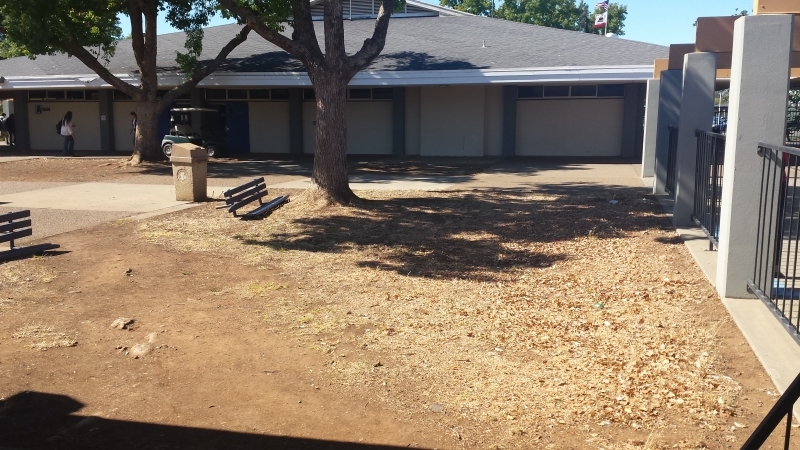 The community has been very supportive of the project, with many donating time and money to ensure it's completion. 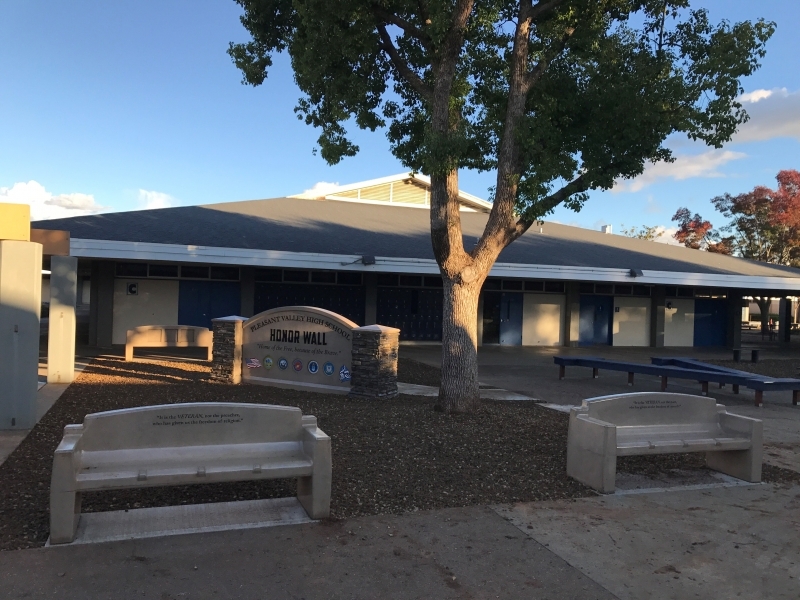 The completion of the project also included new concrete footings and walkways, landscaping, and additional benches featuring the names of the military branches. It's amazing that a group of students can come together to give something back to their school that means so much to the community. We were very honored to be part of such an extraordinary project.